On the evening of Tuesday June 27th at 6:30 PM, two documentaries on the Buffalo Creek Disaster will be screened and discussed at the Southern Appalachian Labor Schools’ (SALS) Community Center in Beards Fork, Fayette Co.
Appalshop Filmmaker Mimi Pickering will be present to show her awarding-winning films, THE BUFFALO CREEK FLOOD: AN ACT OF MAN and BUFFALO CREEK REVISITED. After the screening Ms Pickering will lead a discussion that will provide an opportunity to discuss and redefine the history of the Buffalo Creek flood 33 years after the disaster. 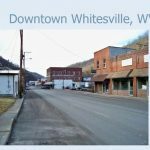 It is part of a tour of West Virginia communities sponsored by the Southern Appalachian Labor School and made possible with support from the West Virginia Humanities Council. SALS Community center is located in the old Beards Fork Elementary School. Beards Fork is located 13 miles from Montgomery off Rt. 61 toward Oak Hill. 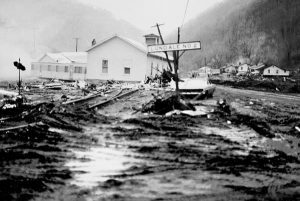 THE BUFFALO CREEK FLOOD: AN ACT OF MAN poignantly portrays the impact that the February 1972 collapse of a coal-waste dam had on the West Virginia communities it devastated. A wall of sludge, debris and water tore through the valley below, leaving in its wake 125 dead and 4,000 homeless. The Pittston Company, owners of the dam, maintained that the disaster was “an act of God.” Interviews with survivors, representatives of union and citizens’ groups and officials of the Pittston Company are juxtaposed with actual footage of the flood and scenes of the ensuing destruction. The film contends that the disaster was not an isolated incident: rather it was an example of an industry-wide attitude that places a greater value on profits and production than the health and safety of coal miners, their families, and their communities. THE BUFFALO CREEK FLOOD: AN ACT OF MAN was recently named by the Librarian of Congress to the National Film Registry. The Librarian described the film as a “powerful documentary” that “represents the finest in regional filmmaking, providing important understanding of the environmental and cultural history of the Appalachian region.” Under the terms of the National Film Preservation Act, each year the Librarian of Congress names twenty-five “culturally, historically, or aesthetically” significant motion pictures to the Registry. BUFFALO CREEK REVISITED was filmed ten years after the collapse of the coal-waste dam and looks at the second disaster in which the survivors’ efforts to rebuild the communities shattered by the flood were thwarted by government insensitivity and a century-old pattern of corporate control of the Appalachian region’s land and resources. Through the statements of survivors, planners, politicians, psychologists, and community activists the film explores the psychology of a disaster, the importance of community, and the paradox of a poor people living in a rich land. Both films underwent preservation with assistance from the Women’s Film Preservation Fund and Cineric Laboratory. In the spring of 2006 they were released on DVD. The discussions will also be a chance to explore issues related to preserving West Virginia film history. For more than three decades, Appalshop has produced and presented artistic work in a wide range of media that celebrates the culture and voices the concerns of people living in the Appalachian Mountains and rural America. “Appalshop’s work has been a cultural beacon, for the people of the Appalachian region, for independent filmmakers, for media arts leaders, and also for people who, like me, celebrate and study the role of independent media in a democratic society,” stated Pat Aufderheide, Director of the Center for Social Media at American University’s School of Communications and a film critic who has followed Appalshop’s development. 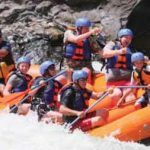 Since its beginning in 1969 as a War on Poverty economic development project, the organization has trained hundreds of young people and produced over 100 films and videotapes that document the reality of life in Appalachia. Appalshop films have aired nationally on PBS, and screened everywhere from mountain hollows to big city museums, from Kingdom Come in eastern Kentucky to cultural centers in Europe, China, India, Indonesia and the Middle East. Over the last thirty-six years, Appalshop has grown into a nationally recognized collective that also produces music, audio recordings and radio, literature, theater, visual arts and photography. Its divisions include Roadside Theater, June Appal Recordings, and community radio station WMMT-FM. The subject matter of Appalshop’s works range from depicting traditional arts to exploring history to dealing with the social issues that affect the region today.